Some of the gnarliest engines in racing history were made for the Indy 500. These are the ten nuttiest. The cheater genius Yunick had his hands on a couple of bizarre Indy projects, most notably the one that put the engine where the driver should be and put the driver where some kind of crash structure should be. But in 1959 he made the Reverse Torque Special, which ran its inline-four Offy clockwise. He described why he went with the design in his autobiography Best Damn Garage In Town. Look, if you've got a front engine car with rear wheel drive, open the door and leave it wide open, and then start engine without putting it into gear, goose the motor good. Notice how driver's door raises up and right side of car goes down (this conversation is for circle track left hand turns only). With conventional engine rotation, you're transferring weight to the right side of the car—when you turn left the weight goes there anyway. The idea of reverse rotation is, when you accelerate hard the weight comes to the left front and left rear, and pulls weight off of the right front. This more evenly distributes weight across the chassis, increases your lateral traction on the front and back end. You go faster. Yunick was reasonably successful with the design, qualifying 12th and finishing 7th. Read more about the engine right here at Mac's Motor City Garage. Longtime sprint car driver Roger Rager wanted a very seasoned block for his debut at the 1980 Indy 500, so he went to the natural place to find a very used, very seasoned engine: the junkyard. He ended up getting his motor out of a school bus and qualified it at an average speed of over 186 miles an hour, better than many Indy 500 veterans. Read more about the reportedly quite loud engine right here at ESPN. Not very many people know about 'Project 637,' but in 1986, Ferrari built and tested a single-turbo, 2.65 liter V8 with an unusual and completely gorgeous exhaust setup (the exhaust exited in the middle of the vee) with right around 700 horsepower. It's unclear if it was ever intended to race at the Indy 500 or if it was merely a way of scaring Formula 1's organizers into giving them more lenient treatment. At one meeting, Enzo Ferrari surprised the assembled press with debuting the engine out of complete secrecy. Enzo got his favorable F1 treatment immediately, and the Indy engine never ran at the Brickyard. Read more about the whole project at 8w here and right here in full. Pictures of the engine are extremely rare, but you can see it here and here. 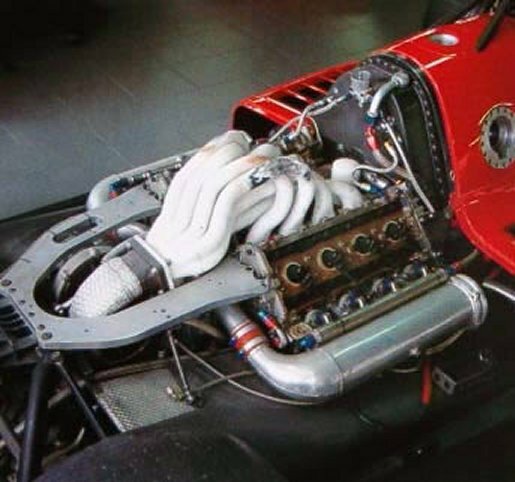 It's possible that Ferrari built an engine for no races, but even more astounding is the engine Mercedes built for just one: the 1024 horsepower pushrod 500I Illmor V8 that ran (and utterly dominated) the 1994 Indy 500. 'Mercedosaurus Rex' used a loophole that allowed pushrod engines more boost than everyone else's purpose-built motors. 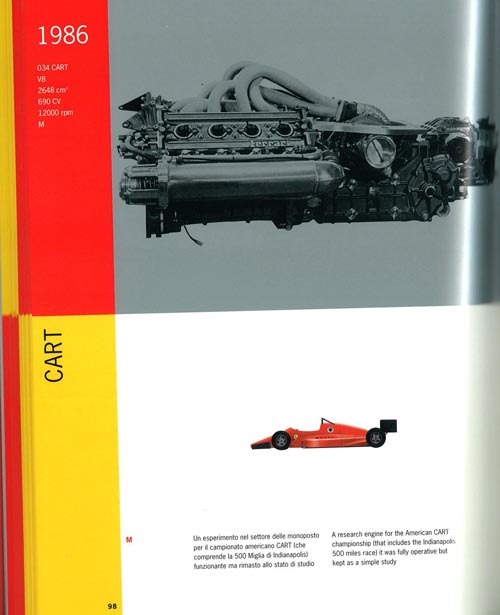 Penske knew that once the engine debuted, the loophole would be closed and the engine would be made obsolete, so it was built in an unbelievable six months in complete secrecy with Mercedes funding and Illmor design. Read more about it here, here, and in mind-boggling, 24-part detail at 8w right here. It's hard to over-emphasize the insanity of the 1967 STp-Praxton Turbocar. The car had four-wheel drive. The driver sat on one side of the car, the engine on the other. The car came thiiiiiiis close to winning the race, until a $6 transmission bearing failed. And yeah, the engine was a Pratt&Whitney turboprop airplane turbine. Think that Audi was the first to run a long-distance, top-level race with a diesel? CUMMINS LAUGHS AT YOUR IGNORANCE. This radically low, and also gigantic phallus-mobile with a 380 horsepower, turbocharged 6.6 liter diesel straight six shocked the establishment by grabbing pole at the '52 500. Like the turbine car, a component failure (the then-innovative "turbo-supercharger" got its inlet clogged with rubber) robbed the car of a shot at the win. Part of the surprise was that everyone thought that the guys from Cummins were just a bunch of farmers from Columbus. Read more about the car right here. You thought that the 1952 Cummins was the first to run a long-distance, top-level race with a diesel? CUMMINS LAUGHS AT YOUR IGNORANCE ONCE MORE. They also ran an 85-horsepower four-cylinder diesel back in 1931, when the organizers didn't even know what to do with the car. It ended up running non-stop (!) with only $1.40 worth of "furnace oil." Read more about it right here from Cummins themselves. For a quarter-century, car builders at Indy struggled (and failed) to make a chassis that could stand up to this monster, the four-cam Novi V8. With a centrifugal supercharger the engine ran up over 500 horsepower in 1946, over 800 horsepower in 1966. So many Novi-powered cars crashed, unable to handle to engine, that many drivers refused to race anything with the motor. They thought it was too dangerous. But dammit, it had character, as reader Desu-San-Desu explains. The engine note was unmistakable. The shriek of the supercharger was legendary. And the engine characteristics? Notorious. The massive torque and power figures chewed through differentials, driftshafts, and flywheels like saltine crackers in a blender. The power was so peaky, with maximum power coming on very suddenly at high revs, that even veteran racecar drivers often found it too difficult to drive. The was exacerbated by the deaths of several veteran drivers trying to control the peaky powertrain during practices in the 1940's and 1950's. It soon became a crowd favorite and a driver's nightmare. Harry Miller wasn't just one of America's greatest car designers, but he became one of Europe's as well back in 1929. The legendary Ettore Bugatti traded a few of his own cars for a few of Miller's front-wheel drive Type 91 Indy cars with dual overhead cam straight eight engines. These DOHC engines were better than what much of Europe could even dream of making, which is why Bugatti copied the engine (though he swapped superchargers) and stuck it in his newest Grand Prix car. Read more about this engine right here. It sounds weird that the most common engine in Indy 500 would be its craziest, but the more you know about the legendary Offenhauser, the more it makes sense. That Miller straight eight I mentioned was a dominant engine, taking up most of the field through the 1920s. Miller (working with Fred Offenhauser) developed a dual-overhead cam four-cylinder engine in the early '20s, but after Miller's business went bust in 1929, Offenhauser continued to refine the engine. And refine it he did. 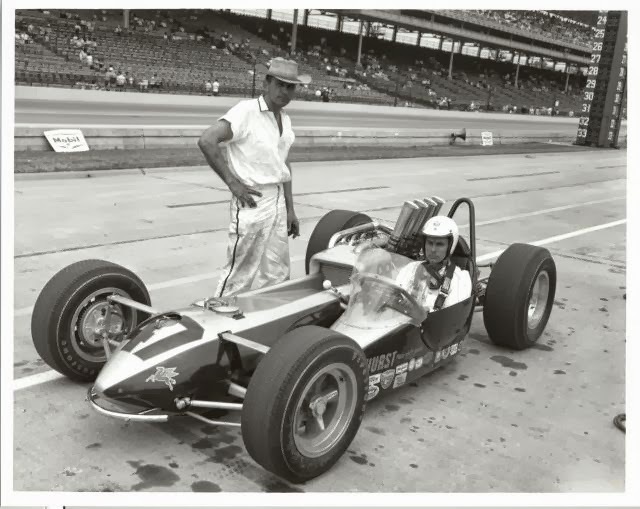 The Offy went on to dominate the Indy 500 for decades, completely filling the field through the 1960s and remaining competitive through the '70s. In one bizarre upset, an Offy-powered midget car even beat a Maserati 250F Formula One car on a road course (scroll down to #2 right here). Before organizers started limiting boost, these engines that started life in the 1920s could put out well over 1000 horsepower. There's never been a racing engine quite like it. Read more about the Offy and its roots that go back to a 1913 Peugeot right here.